ok, this is my final birthday meal post ... well, because it was my final birthday-related meal ... this time, a shared one with josh's brother & sister (happy bday, buds : aaron & katie!). 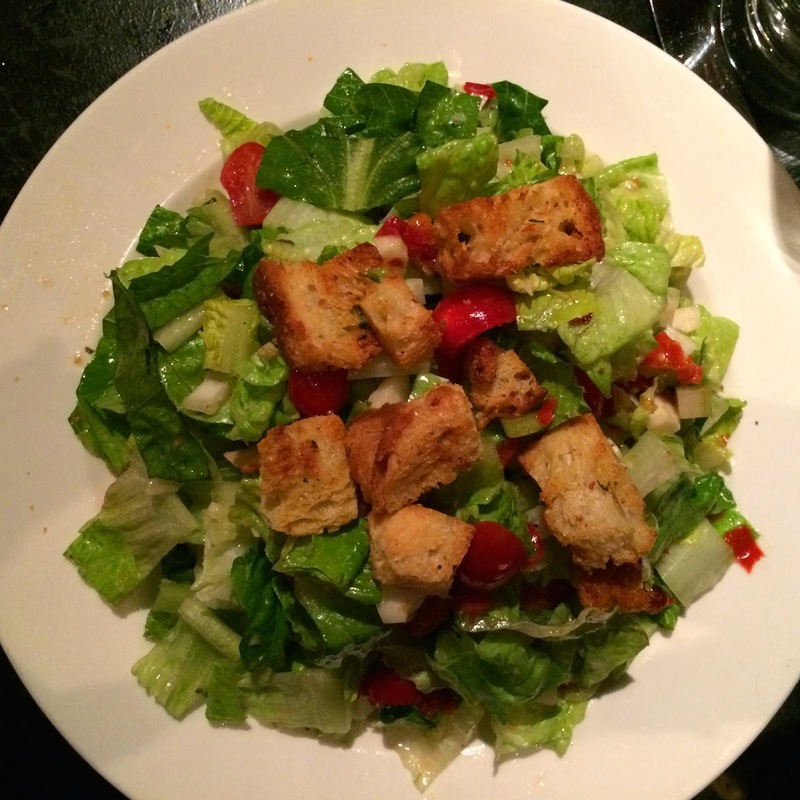 and for our special meal, we decided to go for italian at osteria via stato ... located in river north on via stato. that's state street for the rest of us. osteria via stato is another classic lettuce entertain you restaurant ... the deets : "founded on chef digreggorio's travels throughout italy, osteria via stato follows the italian tradition of seasonally-prepared dishes featuring local ingredients." check & check. obviously if olives are on the menu, olives i will eat. quite tasty ... and i dunked the bread from the table into the extra olive oil ... benissimo. i was very pleasantly surprised by this salad ... 1. it was huge. 2. it was really quite tasty. maybe a little heavy on the fennel. crushed tomatoes, olive oil & calabrian chilies. maybe the best perk of osteria via stato is that you can order a side of some of the pastas ... so if you aren't in the mood to fully devour a plate of carbs, this is the perfect option. in terms of taste, it was pretty simple ... kind of exactly how you would expect it to taste by looking at it. so fine! 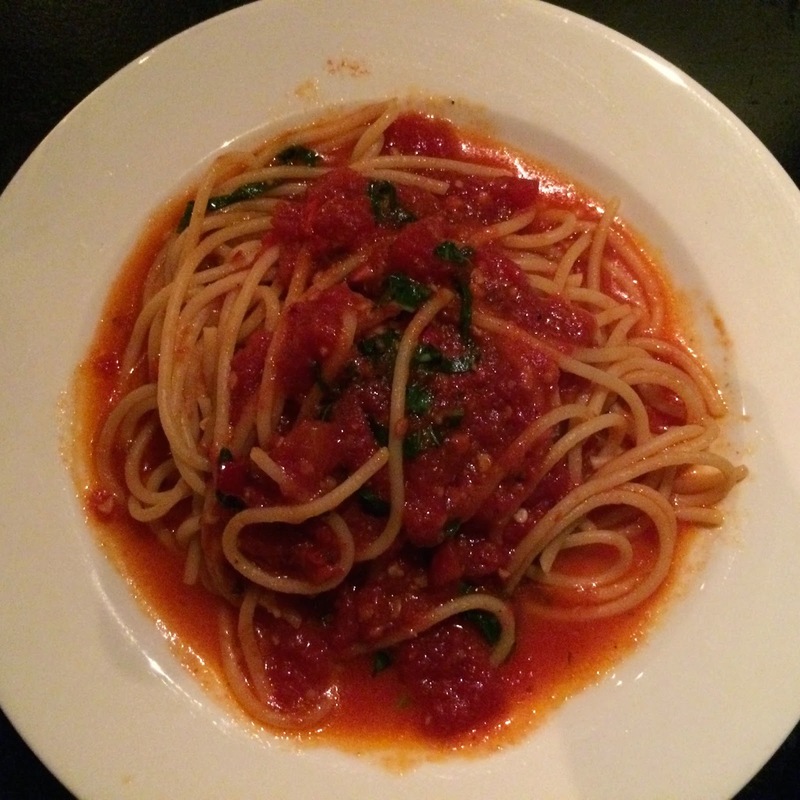 is osteria the best italian restaurant i've ever been to? no. it's not even the best leye italian restaurant i've ever been to! but that's okay. they've got a big menu & great vegan options. so for that, they win.